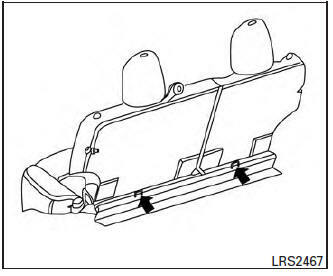 Your vehicle is equipped with special anchor points that are used with LATCH system compatible child restraints. 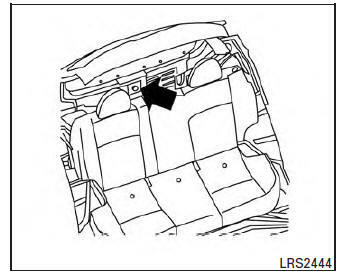 This system may also be referred to as the ISOFIX or ISOFIX compatible system. With this system, you do not have to use a vehicle seat belt to secure the child restraint unless the combined weight of the child and child restraint exceeds 65 lbs (29.5 kg). 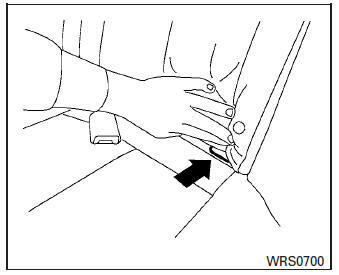 If the combined weight of the child and child restraint is greater than 65 lbs (29.5 kg) use the vehicle’s seat belt (not the lower anchors) to install the child restraint. 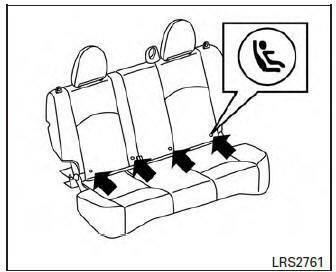 Be sure to follow the child restraint manufacturer’s instructions for installation. The child restraint top tether strap must be used when installing the child restraint with the LATCH lower anchor attachments or seat belts. For additional information, refer to “Installing top tether strap” in this section. 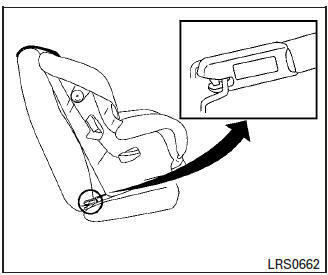 If you have any questions when installing a top tether strap child restraint, consult a NISSAN dealer for details.